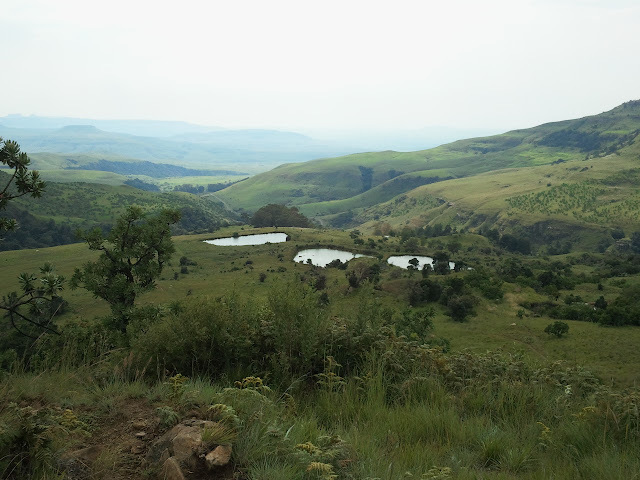 This post forms part of a series on my trip to the Drakensberg. The previous day we did a lot of exercise and wanted more. Maybe we signed up for too much when we did our first guided hike. There were two options for morning hikes, one short and one long. We opted for the longer one. 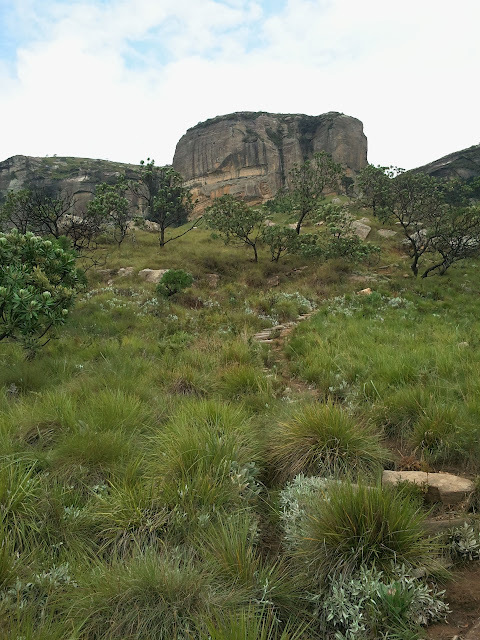 It was a walk to a Thonsela Cave 3h return. We did not understand much about the hiking grading system and did not notice the numbers next to the hikes. We ended up taking one of the more difficult hikes with a steep ascension to the cave. We made it however. The cave had a waterfall and was not like the Cango Caves in Oudshoorn. By those standards it could not be called a cave. It was however an overhang in the rock. We had a snack there that the guide had brought with him and then made our way down. Just before we got back to the resort we saw a troop of baboons. They were quite scared of human activity, compared to the Cape Point monstrosities. I took a few photos and we heard from the guide that they are naughty and pull out the thatch in the roofs sometimes. All excited when we returned, we planned to do a self-guided hike to Echo Cave. After lunch however, we found that we had maybe eaten too much of the pear and avocado rocket salad and decided to watch an episode of Grey’s Anatomy I happened to have with me. The T.V. accepted USB HDD’s which made watching the episodes a luxury. It also decided to thunder whilst we were watching and thus we were lucky to not be outside hiking. We felt bad for not getting any extra exercise in after lunch, so we took out the bikes again. It turned out that this was far too much for us to handle. We were exhausted. We did about 1,5km downhill and got to our first uphill, where we succinctly turned around. 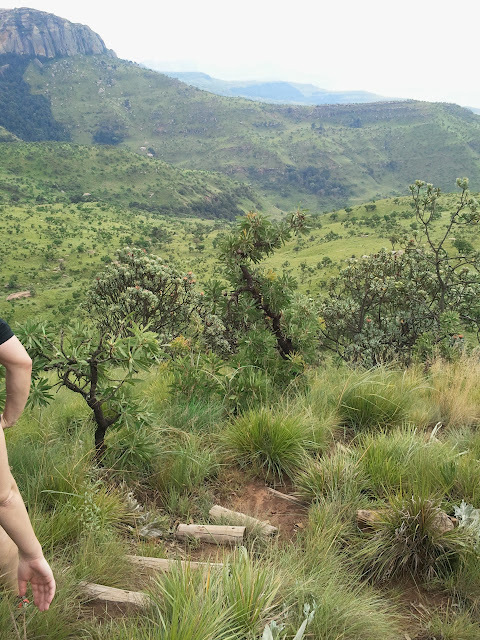 Not only were our bums’ sore, but having to do a 1,5km hill, whilst exhausted, is extremely wrong. We rather came back and played a very dull game tennis with no scoring. We took a swim before supper, where after we read in the lounge and then got some sleep. We were all excited for our next day.